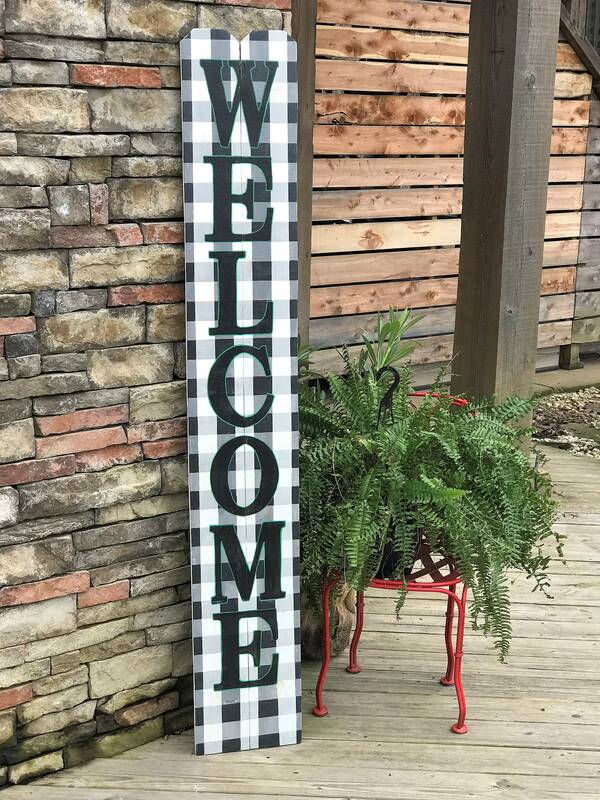 - This particular sign is buffalo plaid and the lettering is painted black with emerald green trim. My signs are always 100% hand painted and vinyl is never used. Not the colors you were wanting? Just contact me and let me know what you’d like!! My sign is absolutely perfect...exactly what I was looking for! Very fast shipping and great quality!! Thank you! Absolutely love this sign. I am going to hang it in my living room to go with my buffalo check and boxwood decor.It is well made and the seller did a great job with the check paint job.It is a great value for such a tall sign,especially with the free Shipping and handling.It was packaged extremely well and arrived with no problems.